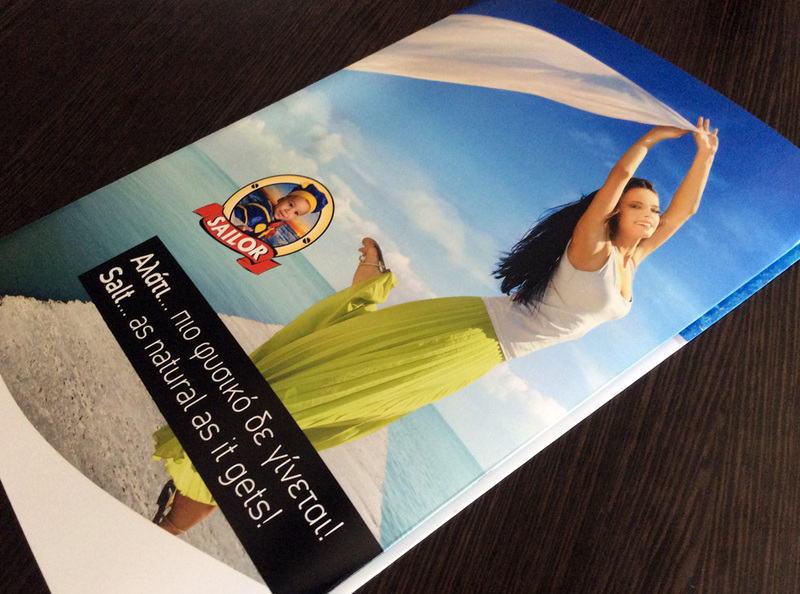 We have created a clean cut design for Sailor, a Salt Industry based in Larnaca, Cyprus. 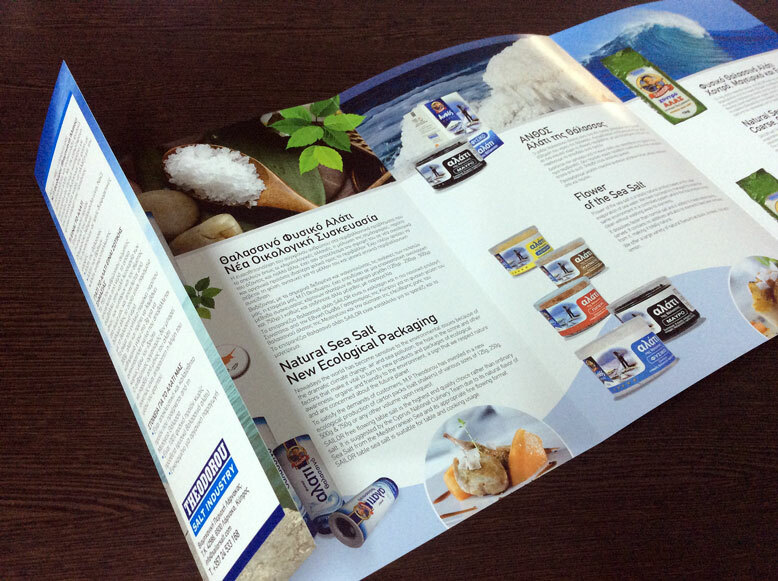 The prospectus is folded in 3 a4 sizes that gives the clients the philosophy and the products of our clients. 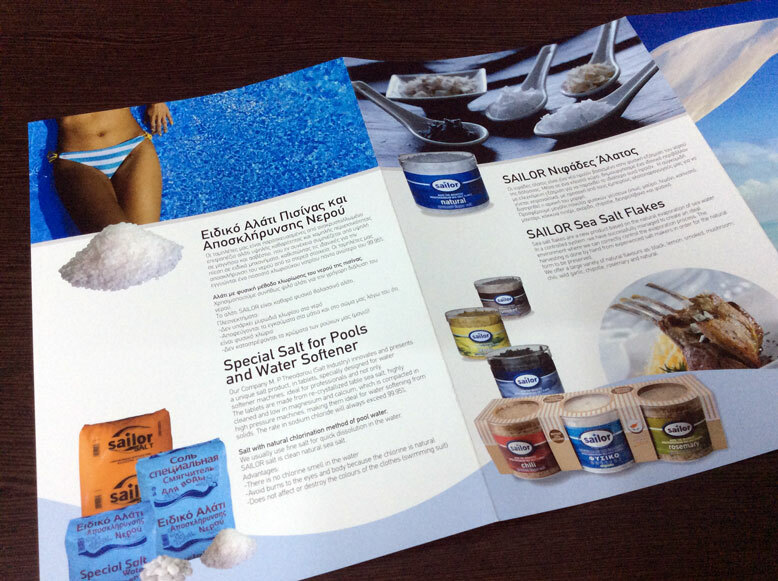 Printed in 300g/m gloss paper with varnish, folded in A4 size, this prospectus is ideal for giving in a very direct way all the information regarding our client and its various salt products. A prospectus ideal for Exhibitions, Fairs and all kinds of events.